Lucasville resident Donna Cunnigham has just received her 6th number one song on the IndieWorld Chart for the song “Think Again,” written by Portsmouth resident Stan Lane. Dan Ward owns the studio and mixes and masters thew songs; Dave Morrison produced the CD and played steel guitar on the set. Other musicians involved included Jared Ward, Bobby Burnett, Craig Nobles and Dave Johnson. It has been a busy year for Cunningham. 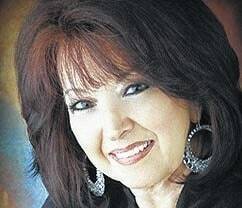 In June she performed on a show at the Nashville Palace along with Ronnie McDowell, T. Graham Brown, Irlene Mandrell, LuluRoman and Buddy Jewell and others. On July 21 Cunningham will be doing a show with Bad Habitz at the Cabell County Fair in Milton, West Virginia. On July 31 she will be at the Paint Valley Jamboree in Bainbridge, Ohio. On Aug. 8 she will be back in the local area the Southen Ohio Opry. On Aug. 14 she will be a headliner at the Troubador Theater in Nashville and she will be in Lawrenceville, Tenessee on Aug. 15. Labor Day week, Cunningham will be performing several half-hour shows at the National Traditional Country Music Festival in LeMars, Iowa and in September her travels will take her to Wythville, Virginia and Ambler, Pennsylvania, then back to the Troubador in Nashville.